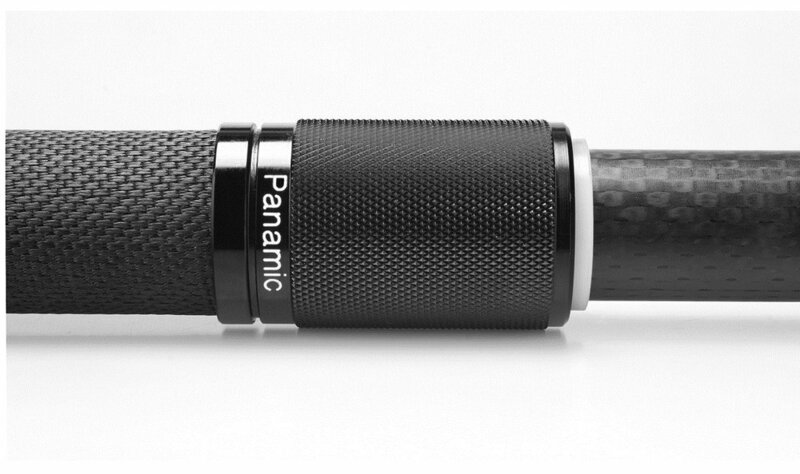 Panamic Boom Pole handles all include a Rubberised End Cap which has been designed to ensure a comfortable grip and protect the pole against knocks and bangs. The Panamic Locking Ring is best known for its reliability. Boom operators can work without the worry of sticking or binding. The design provides resistance from dirt ingress and prevents jamming. The Silent Operating Nylon Bushes used in all Panamic Boom Poles prevent wear on the other parts of the clutch mechanism and are all user replaceable. The Titanium Tip is approximately 1/3rd of the weight of an equivalent Stainless Steel Tip. When using your Panamic Boom Pole, the reduced weight of the tip enables greater accuracy and reduces bend.